World leaders have paid tribute to the victims of the bomb attack on St Petersburg's metro system. At least nine people were killed and 20 more injured in the blast on a train travelling between the Sennaya Ploshchad and Tekhnologichesky Institut stations. 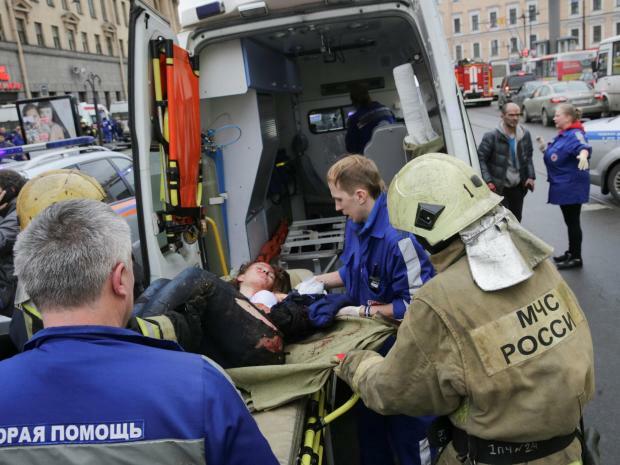 Russian President Vladimir Putin said said investigators are looking into whether the explosion was a terror attack. Leading the tributes, British Foreign Secretary Boris Johnson said he was "horrified" by the explosion, adding that his "sympathies are with the victims and their families." His German counterpart, Sigmar Gabriel, said he felt "deep sorrow" when he learned of the attack. "Much right now indicates that it was a perfidious attack against innocent people who were simply going about their daily life," he said, adding that his country's thoughts were "with our friends in Russia, the victims and their families in this dark hour". German government spokesman Steffen Seibert also tweeted: “These are terrible news from #StPetersburg: Our compassion applies to all concerned and their families. The French Foreign Minister, Jean-Marc Ayrault said his country stood in solidarity with Russia. Similar comments were made by the Prime Minister of Malta, Joseph Muscat. Italian Foreign Minister Angelino Alfano said that the world had to continue "to unite to fight against terror". "Deep condolences and solidarity from Italy to the state and people of Russia. We will continue to unite to fight against terror," he said. Austria's Foreign Minister, Sebastian Kurz, sent a similar message and said "we must close ranks in countering terrorism". The Vice-President of the EU Commission, Federica Mogherini, also tweeted her condolences. "Following the news coming from #SaintPetersburg, together with all EU Foreign Ministers. Our thoughts are with all people of #Russia." Secretary General of Nato, Jens Stolenberg, also took to social media to pay tribute to the victims. "Deepest sympathy to those affected by the #StPetersburg metro explosion, their loved ones and the Russian people," he said. Belgium’s Deputy Prime Minister and Foreign Affairs Minister, Didier Reynders tweeted: “My sincere condolences to the families of the victims and my thoughts go to all of the injured during the explosion". Danish Prime Minister Lars Lokke Rasmussen also said his thoughts were with the victims and their families.